An Abuja-based public relations outfit to the military and security agencies, the PR Nigeria, stated in a report on Sunday that the Boko Haram commander now undergoing interrogation also confessed to have participated in the killings of youths in Madagali, Adamawa State and other parts of the North-East. 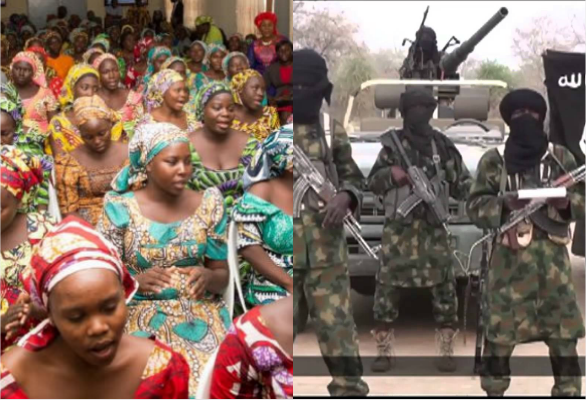 “In one of the operations, I abducted my wife named Maryam who had two kids for me in Sambisa Forest. “It is unfortunate that I was brainwashed and misled not only on some abductions but in the killings of my own people that were innocent. I wholeheartedly regret my actions. Abubakar told the News Agency of Nigeria at his cell in Maiduguri that Albarnawi and Mamman Nur factions of Boko Haram were willing to negotiate and cooperate with the government to defeat the most visible leader of the group, Abubakar Shekau. According to him, Shekau, whose capture, dead or alive, the military high command has ordered, has been the major obstacle to peace, since the insurgency began in 2009. “Shekau is not willing to surrender due to his highhandedness. Unfortunately, the government and military authorities accorded priority to dealing with Shekau, who is blood-thirsty. “Albarnawi has indicated interest to negotiate with the government to end insurgency and provide a lasting solution to the crisis. Albarnawi discusses this with members of his circle. And I can assure the government that he would cooperate to achieve peace. “The two factions are willing to cooperate with the Nigerian Government to defeat Shekau,” he said. Abubakar’s claim about the readiness of the factions to negotiate with the Nigerian authorities could not be verified as he had been incarcerated since June. But he insisted that the groups were predisposed to a peaceful resolution of the eight-year-old crisis. Abubakar claimed to have undertaken various espionage missions and provided intelligence to the insurgents, which enabled them to hit a long list of targets, among which were the abduction of 275 students at the Government Girls Secondary School, Chibok and the massacre of students at the Federal Government College, Buni Yadi. Over 20 students were murdered at Buni Yadi.